The country of Saudi Arabia is one of the world’s best at reducing the impact of infectious diseases from international travelers. The Saudi Ministry of Health in the Kingdom of Saudi Arabia has a proven history of managing the health risks from international gatherings, such as Hajj during late August, and Umrah, which ends this year on June 14, 2018. 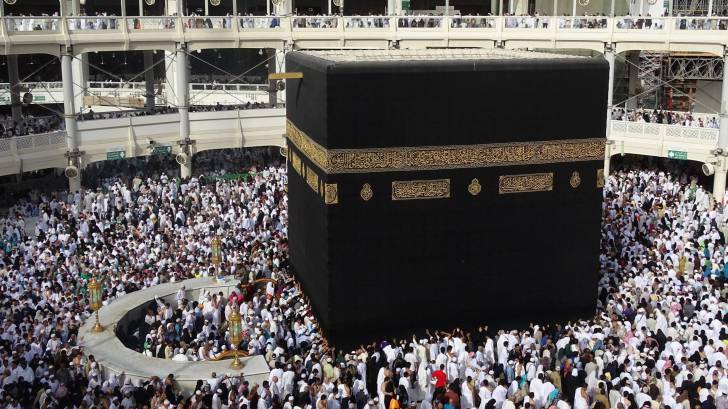 The Hajj, or pilgrimage to Mecca, Saudi Arabia, is one of the world’s largest mass gatherings. These annual events include thousands of visitors from all over the world, who may be unknowingly carrying an infectious disease. That all travelers arriving from countries or areas at risk of yellow fever transmission must present a valid yellow fever vaccination certificate. The yellow fever vaccination certificate is valid for life starting 10 days after vaccination. Visitors arriving for Umrah, Hajj or for seasonal work in Hajj zones, are required to submit a valid vaccination certificate with a tetravalent (ACYW135) meningococcal vaccine administered no less than 10 days prior to arrival to Saudi Arabia. Vaccination with ONE of the following vaccines is acceptable: Tetravalent (ACYW135) polysaccharide vaccine within the last 3 years, Tetravalent (ACYW135) conjugate vaccine within the last 5 years. Vaccination with tetravalent (ACYW135) conjugate vaccine is also required for Domestic pilgrims and residents of the two holy cities of Makkah and Medina, and any person who may get in contact with pilgrims including personnel in healthcare settings. Travelers arriving from countries with circulating wild or vaccine-derived poliovirus (cVDPV2) and from countries at risk of polio reintroduction are required to submit a valid polio vaccination certificate. At least one dose of bivalent oral polio vaccine (OPV) within the previous 12 months and administered at least 4 weeks prior to arrival. The Ministry of Health recommends that all pilgrims get vaccinated against the 2018/19 seasonal influenza. Additionally, the Ministry of Health may decide to administer prophylactic antibiotics to some travelers, at the points of entry, if deemed necessary. And, for 2018, the Saudi Ministry of Health recommends that the elderly (above 65+) and those with chronic diseases and pilgrims with immune deficiency, malignancy and terminal illnesses, pregnant women and children (under 12) coming for Hajj and Umrah this year, postpone the performance of the Hajj and Umrah for their own safety. For USA citizens, the Centers for Disease Control and Prevention (CDC) suggests scheduling a visit with a travel vaccine specialist at least 4 to 6 weeks before departure. Travel vaccine counseling sessions can be scheduled here. The goal of pre-trip counseling sessions is to ensure you are up to date on all routine and travel-related vaccines, and medicines that could affect you during your trip. If you develop a fever and symptoms of respiratory illness within 14 days after traveling from countries in or near the Arabian Peninsula, you should call a healthcare provider and mention your recent travel. Many pharmacies in the USA offer travel vaccination services. Health Requirements and Recommendations for Travelers to Saudi Arabia for Hajj and Umrah - 2018/1439H.